Board game cards come in a variety of sizes and there are different standards for card sizes in the United States and Europe. 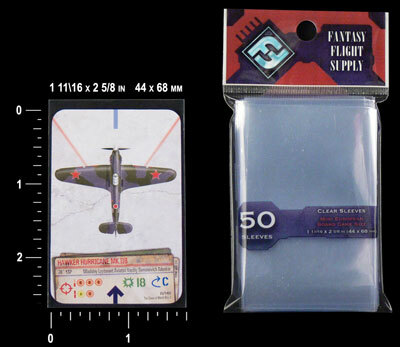 Fantasy Flight Supply board game sleeves come in five different sizes to accommodate the majority of board game cards and we have color-coded each pack of sleeves so that when you go to the game store to buy sleeves, you can easily identify the sleeves you need. Once you sleeve your cards, they will be protected from accidents and from regular handling.